Stephanie Rath, Senior Vice President of Operations, holds over 16 years of combined development and management experience in the multi-family real estate industry. She has been with Bozzuto for ten years working both on-site and at the corporate level. In her current role, she oversees a team of three Regional Vice Presidents and Portfolio Managers with assets concentrated in Virginia, Washington, D.C. and Maryland consisting of over 6,000 units. Her in-depth exposure with space programming, building and site plan reviews, market analyses and financial projections during the development period of new management opportunities provide her with a well-rounded understanding of financial, architectural and design decisions. Prior to her promotion to Senior Vice President of Operations in 2018, Stephanie was Vice President of Advisory Services, a team of Project Managers and Analysts who collaborate with clients to provide key insights such as space programming recommendations, building and site plan reviews, market analyses and financial projections during the development period of new management opportunities. Stephanie played an integral role in new developments across the Mid-Atlantic, Tri-State, New England, Mid-West and Southeast regions helping grow the team’s consulting capabilities and new development portfolio. Stephanie earned a Bachelor of Science in Housing and Resource Management from Virginia Polytechnic Institute and State University. She began her career with Bozzuto in 2009 as a General Manager for a property in Fairfax, Virginia. Her experience on-site allows her to apply an understanding of operational needs to decisions throughout the property development process. 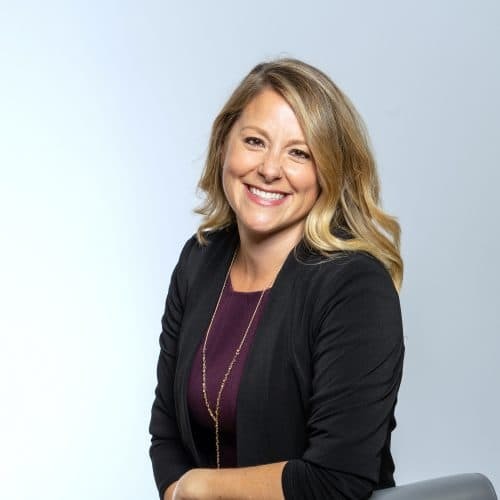 Prior to joining Bozzuto, Stephanie was a Development Associate for Lincoln Property Company, where she underwrote new multi-family development and acquisition opportunities. This development experience created a balanced approach of operations based and financially prudent thinking.